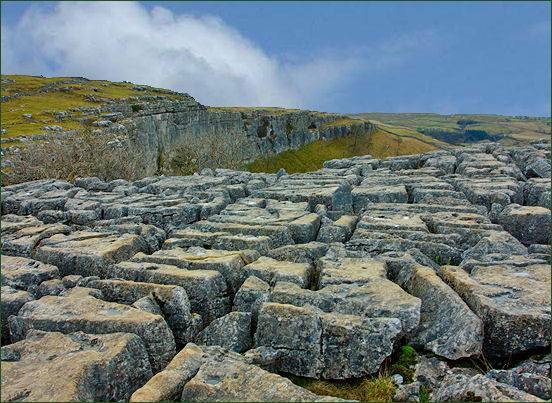 Dramatic Malham Cove, one of the natural wonders of Yorkshire is a natural limestone formation which stands around a kilometre to the north of the village of Malham. 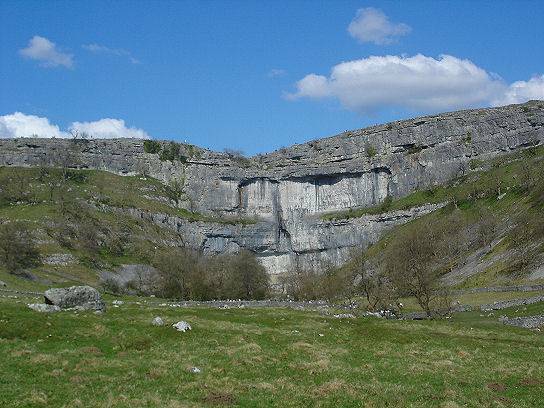 A large, curved ampitheatre shaped limestone cliff formation rises to 80 metres (260 feet) and looms over the head of a valley. 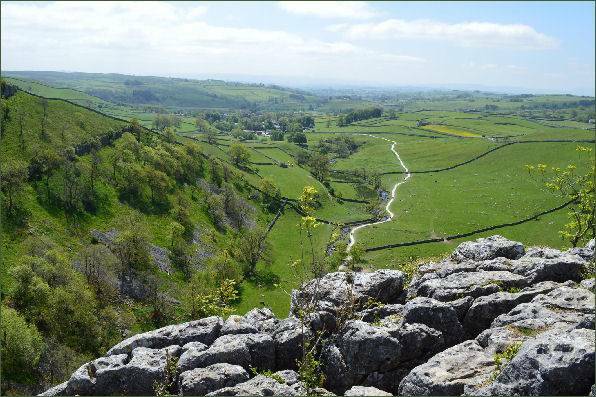 On the west side of the cliff face are irregular stone steps which form part of the route of the Pennine Way and lead to an uneven limestone pavement at the top. At one time a large waterfall flowed over the cove formed by a melting glacier melted above. 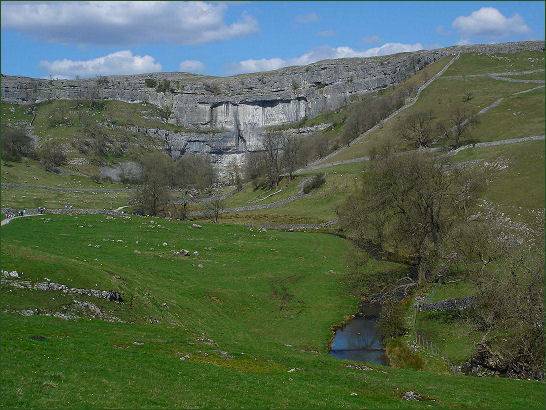 The stream which once flowed over the cliff face now flows out of Malham Tarn, situated on the moors to the north of the cove. The stream now flows underground at the aptly named 'Water Sinks', before it reaches the top of the cove. Malham Beck now emerges from a cave at the bottom of the cove. The last record of water flowing over the fall in any kind of volume dates back to a period of heavy rain in the early ninteenth century. The valley was formed at the end of the last ice age when the ground was frozen. The frozen ground resulted in the meltwater from the ice sheet forming a large which eroded the valley that we see today. When the climate warmed around 12,000 years ago the ground thawed and the river in the valley disappeared underground leaving the valley dry. 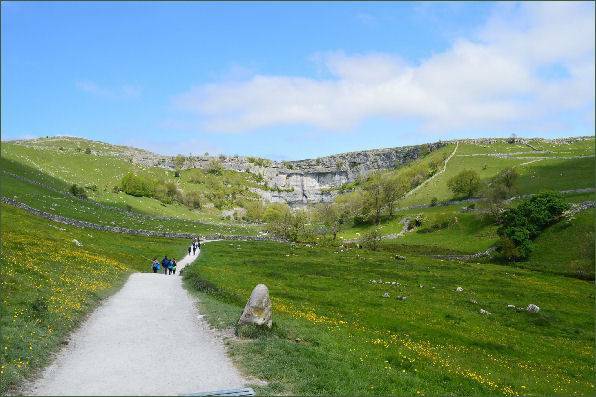 Parking is available at the National Park car park in Malham village, a footpath leads from the road to the foot of the Cove.